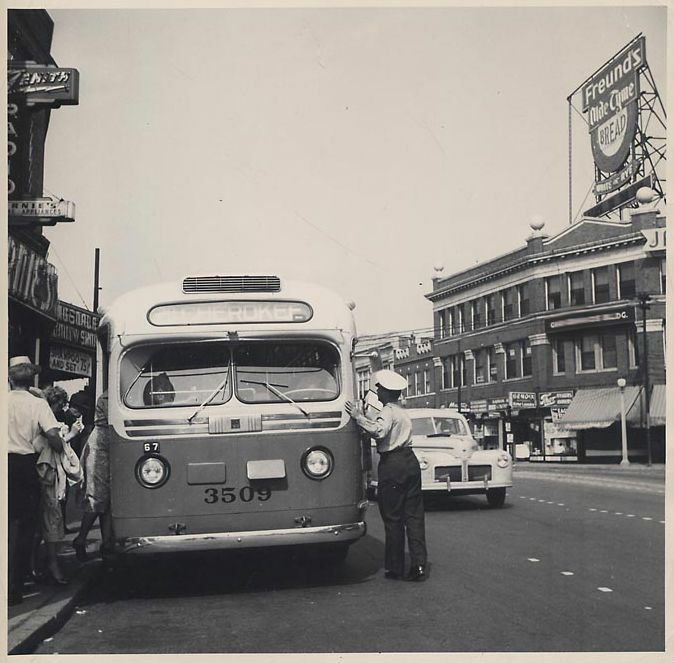 This is a Public Service Cherokee line bus heading outbound on Gravois at Grand in 1948. Notice that we had to blur out the ‘Grand-Gravois Building’ name on the building across the street to make it harder to guess the location. Have a great weekend – Let’s Go Blues. Grand at Gravois. Probably right after WWII. About 1949 or so. grand and gravois, a little west of grand on gravois. right across from where the bus is would be south side national bank.